Passion. Joy. Inspiration. Those are words Salvatore DiBenedetto ’12 takes to heart and drops into his conversations. To be successful, you have to follow your passion, DiBenedetto advises. 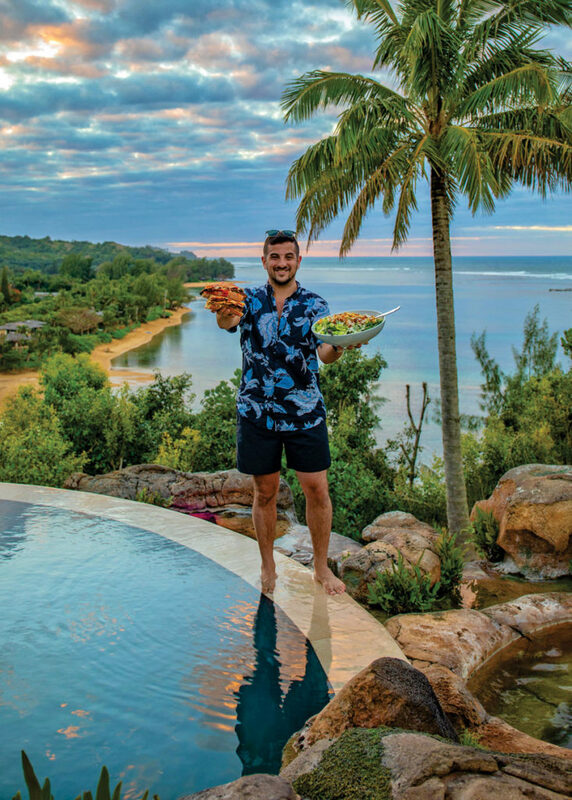 DiBenedetto has parlayed his passion for food, travel, and communication into success. 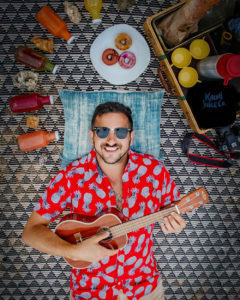 As The Grubfather, he is a social media influencer, and food and travel content producer for social media, online, broadcast, and print publications. He also founded The Connect Agency, a creative, digital branding and marketing company focusing on content creation for the hospitality industry, brand building, and digital marketing. One glance at his social media channels, and the salivating and envy begins. 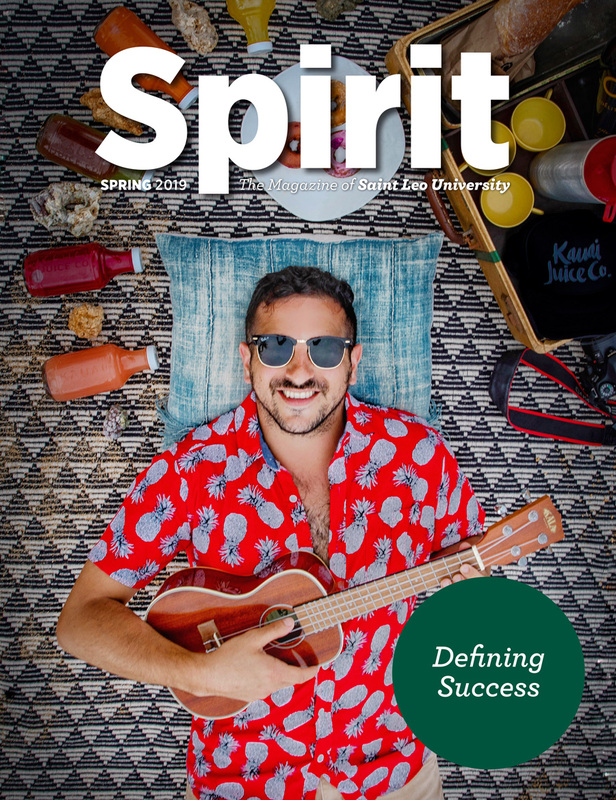 There are photos of DiBenedetto posing with a gigantic slice of pizza monopolizing the table; toasting with Chef Eric Ripert in the Grand Cayman; floating in paradise with a drink in each hand in beautiful Kauai; juggling a bratwurst and a plate of schnitzel in Germany; and sharing the food and flavors that make his Long Island home special. There are photos of food, more food, and even more food! So how did a guy with dual bachelor’s degrees from Saint Leo in history and international studies and a minor in cultural anthropology transform into The Grubfather? After graduating from Saint Leo, he accepted a job as a marketing director for a tattoo school in Brooklyn. “I quickly realized that I had no passion for it, and I didn’t want to work for someone else’s dream when I had big dreams of my own,” DiBenedetto said. So he left and went back to being a waiter. “The rents are high in New York, and I was thinking, ‘This is a risk,’ but if you’re going to do anything in life, you have to be willing to take the risk,” DiBenedetto said. He began working at Brooklyn Commune, a café in his neighborhood. Chef Chris Scott, an alumnus of the Top Chef TV competition, had started a dinner program there, and DiBenedetto became the head waiter for the program. 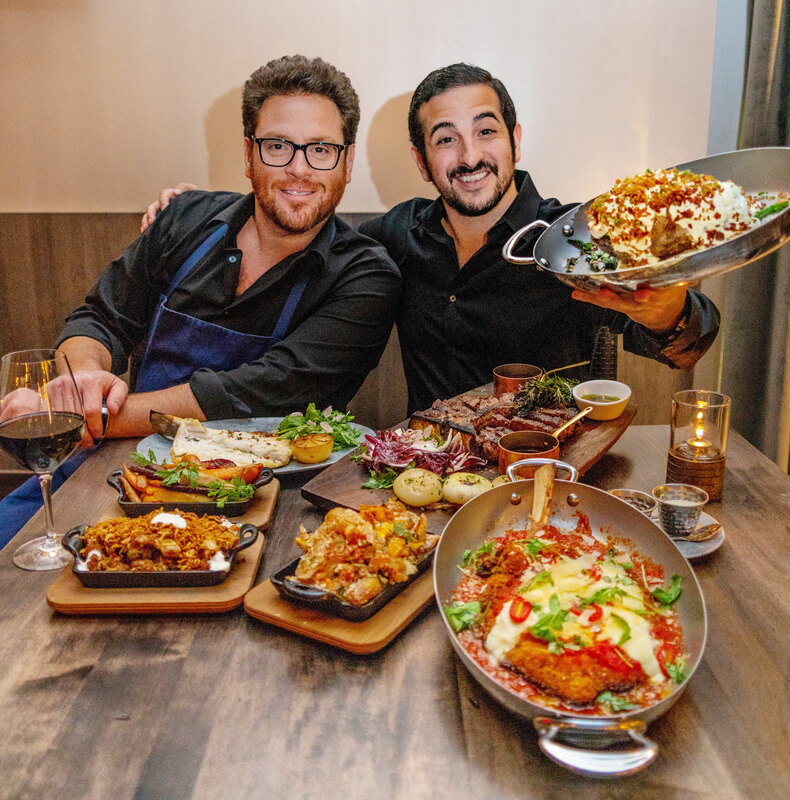 Food Network chef and Chopped judge Scott Conant and Sal DiBenedetto sample some of Conant’s dishes at Cellaio, his Italian-inspired steakhouse at Resorts World Catskills. Instagram, the popular photo and video-sharing social networking service owned by Facebook Inc., gave DiBenedetto a platform on which to shine. He promoted the food and culture of Brooklyn Commune via that platform. “Over and over, I would ask [guests] where they heard about us, and people said they found us on Instagram,” he said. With that, a business was born. Potential clients reached out to him, and when he had seven clients, he thought, “I can do this full time.” He created his company, The Connect Agency. From that came The Grubfather. 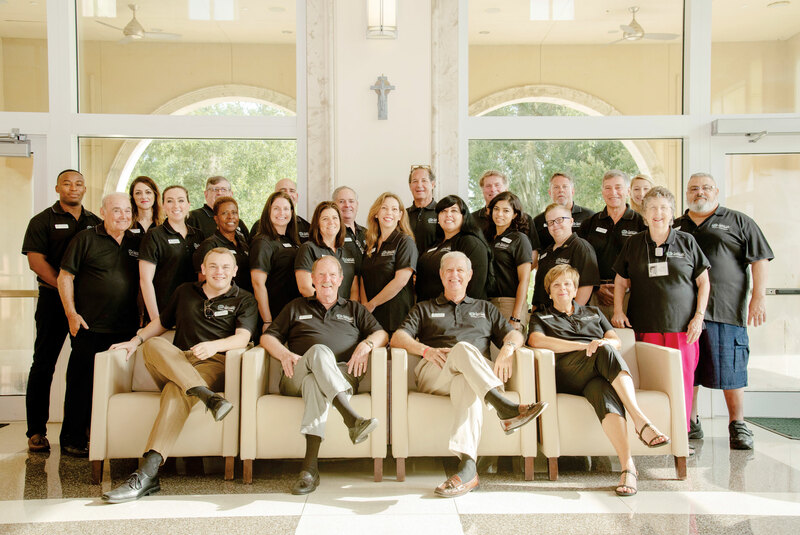 Named with a nod to the movie The Godfather and DiBenedetto’s Sicilian roots, The Grubfather and his team, including Saint Leo alumni, create and share information about restaurants, hotels, travel destinations, and lifestyle brands. According to www.thegrubfather.world, his work has been featured in a variety of social channel publications and websites such as INSIDER Travel, Travel + Leisure, Complex magazine, and LADbible, among others. Now, The Grubfather is one of the fastest growing food, travel, and lifestyle blogs on Instagram, DiBenedetto said. It shows where to stay and what to eat and drink, along with photos of a smiling DiBenedetto. The Grubfather has close to 115,000 Instagram followers and 12,000 on Facebook. 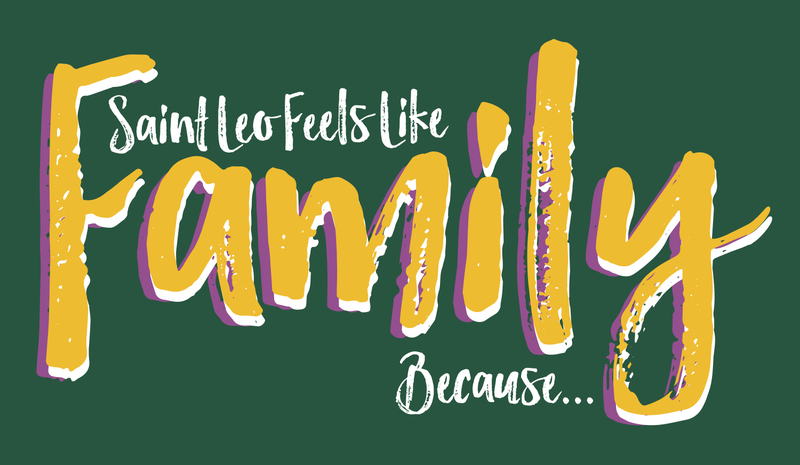 When DiBenedetto started The Connect Agency and The Grubfather, it was important to give back to people who were part of his community, including his Saint Leo family. “When you join a fraternity, and they tell you these people are going to take care of you for life, I took that to heart,” he said. He has hired Saint Leo alumni and loves giving them opportunities. Working with DiBenedetto is Peter Valcarcel ’14, whom DiBenedetto describes as his right-hand man. 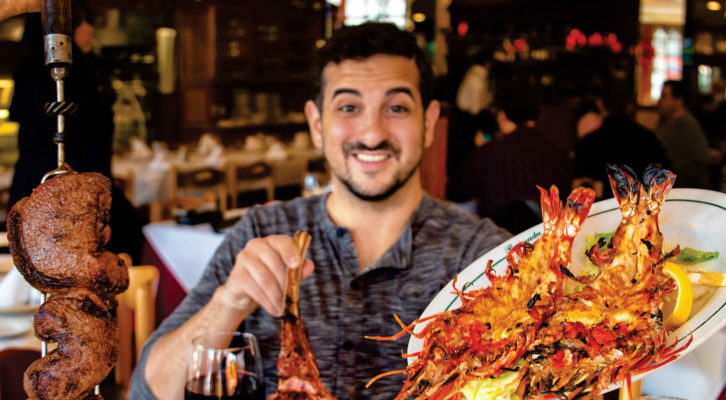 DiBenedetto hopes to grow his business “in all directions and work on creative campaigns for brands that I’m super passionate about.” And the Saint Leo alumnus hopes to host his own food and travel show. “I want to grow The Grubfather brand exponentially. I’m in the process of starting a clothing line,” he said. For The Grubfather, success means finding something you are happy doing, maintaining a positive outlook, and always following your dream. I’m extremely partial to Italian food, and I’m a huge fan of Japanese cuisine. My cousin’s little hidden restaurant in the hills of Sicily. It’s Ristorante L’Albero in Porto Empedocle, Agrigento, Italy. How do you eat all the food in your photos? I try everything that I post! But I did lose weight from college to now. I’m consistent about running and portion control. There may be a huge slice of pizza, but I share it with everyone on the photo shoot. If someone closes a door on you, build your own. When someone tells you no, find the inspiration in it. Let other people’s negativity fuel your positivity.